As actresses in Los Angeles we are constantly hearing “how hard it is”, “how difficult”, “how unfair”, “how impossible” breaking into the industry is. Creation is extremely personal, and the entertainment industry is not an easy career choice. There is so much self-doubt in Hollywood, so much fear, shame, and self-deprecation. So we created something to counteract all that; an inspirational series that EMPOWERS the actor, the artist, to follow their dreams and laugh at the comical mishaps and craziness that occurs along the way to success. Alexandra Case & Robin De Lano co-wrote an Instagram sketch series that follows an artist’s comedic journey. 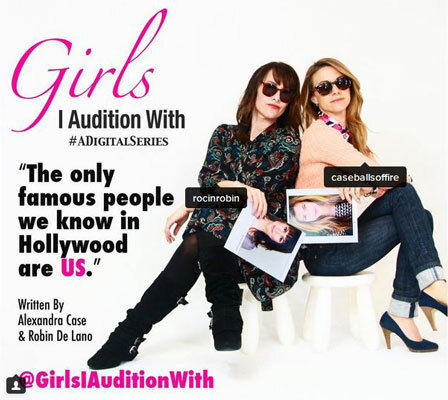 Girls I Audition With is also on Facebook.